A new outdoor arena now replaces the open-air arena which previously existed west of the Horse Barn. During phase one of the Jacobson Exhibition Center Project, the old outdoor arena was moved to make room for the new state-of-the-art facility. The new outdoor arena and stalling barn are located on the east side of the Swine Barn. 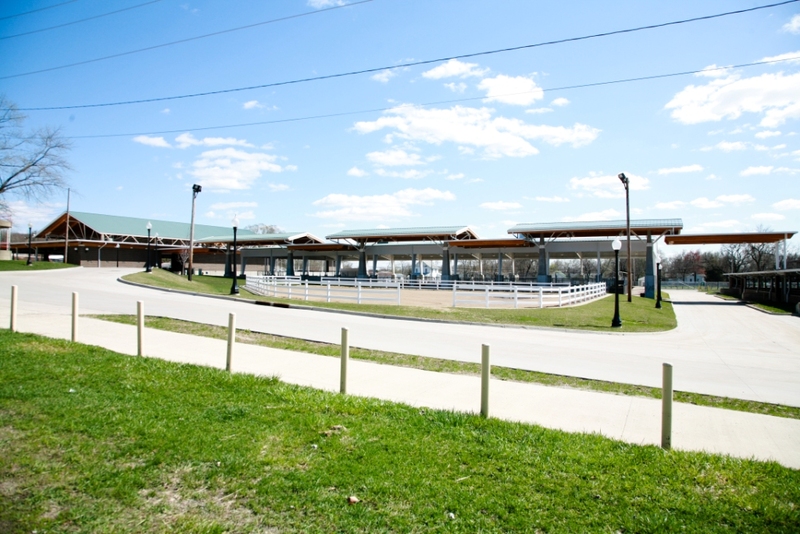 The majority of the construction was completed in time for the 2008 Iowa State Fair, allowing both the new arena the 188-stall barn to be used. The project was completed in 2009 with the addition of a covered walkway that extends from the Stalling Barn to the Swine Barn. To make room for the new buildings, the Feed and Ice Building was removed and rebuilt south of Campgrounds - Gate 5.